So you’re walking down Dame Street in Dublin and you have a major case of the snack attacks. Whatever should you do?! My recommendation? 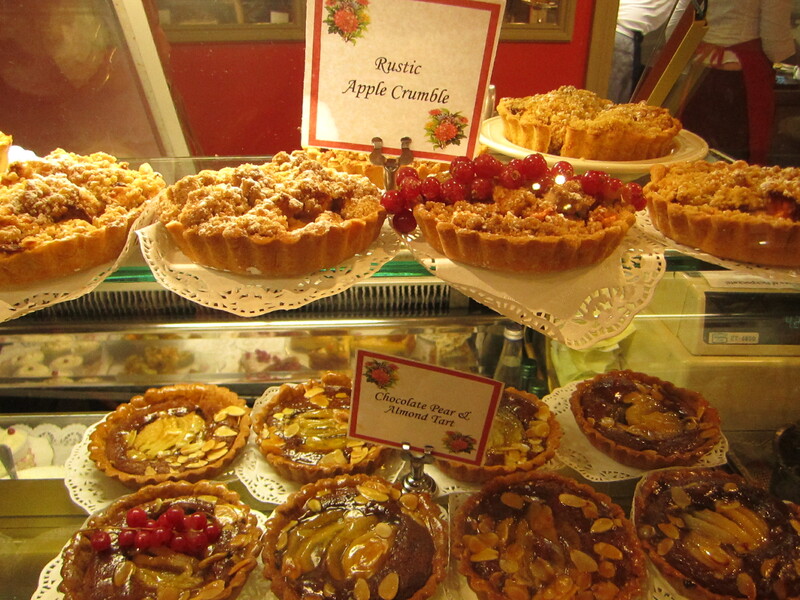 Pop into the marvelous Queen of Tarts for an adorable pastry. This quaint eatery is smack dab in the heart of the big city. Even if you won’t be hanging around in the area, check out my pictures from my latest stop in: you’ll have enough drool-worthy treats to e-sample, I promise! A trip to Dublin may soon be on your radar. I sampled the apple crumble tart, and it did not disappoint! Though I’m not typically a fan of apple pie or other such desserts, but I was pleasantly surprised by the warm gooey taste of the apple crumble. Overflowing with apple and easy on the crumbs, this sizable tart was perfect with my evening tea! 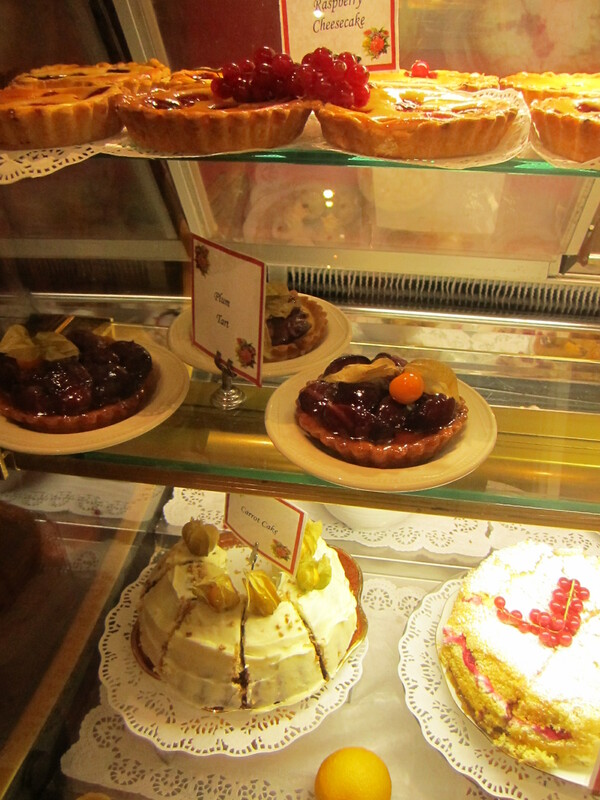 Queen of Tarts has been heavily reviewed and recommended by international newspapers and tourist guidebooks, but believe me: the place is far from touristy. The homemade dishes feel as comfortable — and taste as great– as a snack in granny’s kitchen. Carrot cake and cheesecake are also available, if tarts are too posh for your liking! You can also pick up soups and sandwiches if you’d rather do lunch. Have a seat in the tiny shop and sample anything you please as you reflect on your journey through the city: the tiny shop is warm and inviting, so you won’t have to worry about overstaying your welcome! 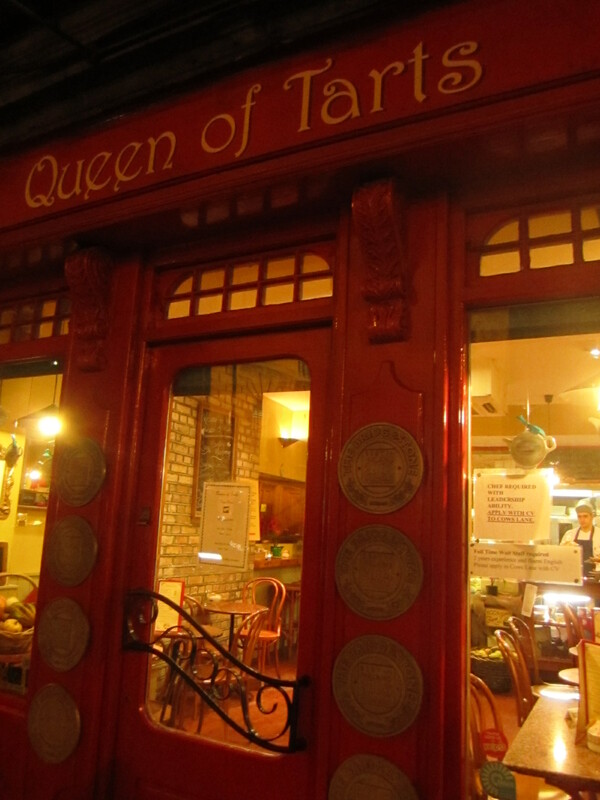 There are two Queen of Tarts locations in Dublin, on Cow’s Lane and Cork Hill, both near one another on Dame Street. Stop by if you’re ever in the area — or make a special trip just because! Check out their menu for the full list of offerings. I hope my pictures lived up to my promise!